Click For More Info 1998 - 2005 BEETLE ALL L4 1.9 ALL ALL ALL OE recommended replacement part. OE-specified Oil included. Click For More Info 1998 - 2005 BEETLE ALL L4 2.0 ALL ALL ALL OE recommended replacement part. OE-specified Oil included. Click For More Info 1999 - 2005 BEETLE ALL L4 1.8 ALL ALL ALL OE recommended replacement part. OE-specified Oil included. Click For More Info 2006 - 2006 BEETLE TDI L4 1.9 ALL ALL ALL OE recommended replacement part. OE-specified Oil included. Click For More Info 2006 - 2014 BEETLE ALL L5 2.5 ALL ALL ALL OE recommended replacement part. OE-specified Oil included. Click For More Info 2012 - 2012 BEETLE ALL L4 2.0 ALL ALL ALL DENSO is the OE supplier for this vehicle; OE-specified Oil included. Click For More Info 2013 - 2014 BEETLE ALL L4 2.0 ALL ALL GAS DENSO is the OE supplier for this vehicle; OE-specified Oil included. Click For More Info 2014 - 2014 BEETLE ALL L4 1.8 ALL ALL ALL DENSO is the OE supplier for this vehicle; OE-specified Oil included. Click For More Info 1995 - 2002 CABRIO ALL L4 2.0 ALL ALL ALL OE recommended replacement part. OE-specified Oil included. Click For More Info 2009 - 2009 CC ALL V6 3.6 ALL ALL ALL DENSO is the OE supplier for this vehicle; OE-specified Oil included. Click For More Info 2009 - 2015 CC ALL L4 2.0 ALL ALL ALL DENSO is the OE supplier for this vehicle; OE-specified Oil included. Click For More Info 2009 - 2015 EOS ALL L4 2.0 ALL ALL ALL DENSO is the OE supplier for this vehicle; OE-specified Oil included. 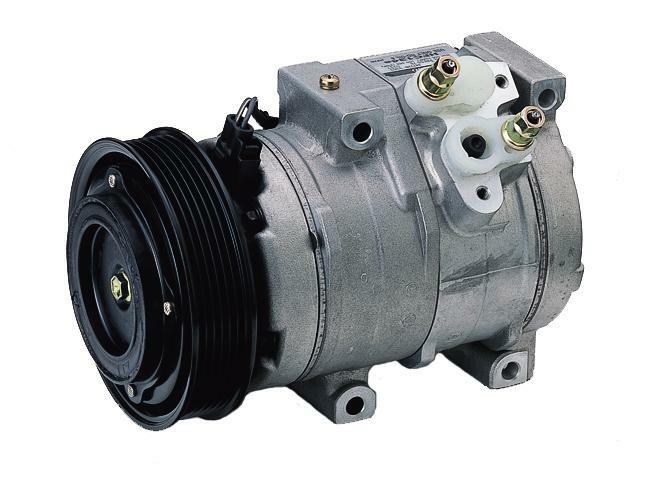 Click For More Info 1993 - 1995 EUROVAN ALL L5 2.5 ALL ALL ALL OE recommended replacement part. OE-specified Oil included. Click For More Info 1993 - 1998 GOLF ALL L4 2.0 ALL ALL ALL OE recommended replacement part. OE-specified Oil included. Click For More Info 1999 - 2001 GOLF ALL L4 1.9 ALL ALL ALL OE recommended replacement part. OE-specified Oil included. Click For More Info 1999 - 2001 GOLF ALL L4 2.0 ALL ALL ALL OE recommended replacement part. OE-specified Oil included. Click For More Info 1999 - 2001 GOLF ALL V6 2.8 ALL ALL ALL OE recommended replacement part. OE-specified Oil included. Click For More Info 2000 - 2001 GOLF ALL L4 1.8 ALL ALL ALL OE recommended replacement part. OE-specified Oil included. Click For More Info 2002 - 2005 GOLF ALL L4 1.8 ALL ALL ALL OE recommended replacement part. OE-specified Oil included. Click For More Info 2002 - 2005 GOLF ALL L4 1.9 ALL ALL ALL OE recommended replacement part. OE-specified Oil included. Click For More Info 2002 - 2005 GOLF ALL L4 2.0 ALL ALL ALL OE recommended replacement part. OE-specified Oil included. Click For More Info 2002 - 2005 GOLF ALL V6 2.8 ALL ALL ALL OE recommended replacement part. OE-specified Oil included. Click For More Info 2004 - 2004 GOLF ALL V6 3.2 ALL ALL ALL OE recommended replacement part. OE-specified Oil included. Click For More Info 2006 - 2006 GOLF GL L4 2.0 ALL ALL ALL OE recommended replacement part. OE-specified Oil included. Click For More Info 2006 - 2006 GOLF GLS L4 2.0 ALL ALL ALL OE recommended replacement part. OE-specified Oil included. Click For More Info 2006 - 2006 GOLF GLS TDI L4 1.9 ALL ALL ALL OE recommended replacement part. OE-specified Oil included. Click For More Info 2006 - 2006 GOLF GTI 1.8T L4 1.8 ALL ALL ALL OE recommended replacement part. OE-specified Oil included. Click For More Info 2010 - 2014 GOLF ALL L5 2.5 ALL ALL ALL OE recommended replacement part. OE-specified Oil included. Click For More Info 2012 - 2013 GOLF ALL L4 2.0 ALL ALL ALL DENSO is the OE supplier for this vehicle; OE-specified Oil included. Click For More Info 2006 - 2014 GTI ALL L4 2.0 ALL ALL ALL DENSO is the OE supplier for this vehicle; OE-specified Oil included. Click For More Info 2008 - 2009 GTI ALL L4 2.0 ALL CBFA ALL DENSO is the OE supplier for this vehicle; OE-specified Oil included. Click For More Info 2008 - 2009 GTI ALL L4 2.0 ALL CCTA ALL DENSO is the OE supplier for this vehicle; OE-specified Oil included. Click For More Info 1993 - 1998 JETTA ALL L4 2.0 ALL ALL ALL OE recommended replacement part. OE-specified Oil included. Click For More Info 1997 - 1998 JETTA ALL L4 1.9 ALL ALL ALL OE recommended replacement part. OE-specified Oil included. Click For More Info 1999 - 1999 JETTA ALL L4 2.0 ALL ABA ALL OE recommended replacement part. OE-specified Oil included. Click For More Info 1999 - 1999 JETTA ALL L4 2.0 ALL AEG ALL OE recommended replacement part. OE-specified Oil included. Click For More Info 1999 - 2000 JETTA ALL L4 1.9 ALL ALL ALL OE recommended replacement part. OE-specified Oil included. Click For More Info 1999 - 2001 JETTA GLS V6 2.8 ALL ALL ALL OE recommended replacement part. OE-specified Oil included. Click For More Info 1999 - 2001 JETTA GLX V6 2.8 ALL ALL ALL OE recommended replacement part. OE-specified Oil included. Click For More Info 2000 - 2000 JETTA ALL L4 1.8 ALL ALL ALL OE recommended replacement part. OE-specified Oil included. Click For More Info 2000 - 2000 JETTA ALL L4 2.0 ALL ALL ALL OE recommended replacement part. OE-specified Oil included. Click For More Info 2001 - 2001 JETTA WOLFSBURG EDITION L4 1.8 ALL ALL ALL OE recommended replacement part. OE-specified Oil included. Click For More Info 2001 - 2004 JETTA GLS L4 2.0 ALL ALL ALL OE recommended replacement part. OE-specified Oil included. Click For More Info 2001 - 2004 JETTA TDI L4 1.9 ALL ALL ALL OE recommended replacement part. OE-specified Oil included. Click For More Info 2001 - 2005 JETTA GL L4 2.0 ALL ALL ALL OE recommended replacement part. OE-specified Oil included. Click For More Info 2001 - 2005 JETTA GLS L4 1.8 ALL ALL ALL OE recommended replacement part. OE-specified Oil included. Click For More Info 2002 - 2003 JETTA GLX V6 2.8 ALL ALL ALL OE recommended replacement part. OE-specified Oil included. Click For More Info 2002 - 2004 JETTA GLI V6 2.8 ALL ALL ALL OE recommended replacement part. OE-specified Oil included. Click For More Info 2002 - 2004 JETTA GLS V6 2.8 ALL ALL ALL OE recommended replacement part. OE-specified Oil included. Click For More Info 2003 - 2005 JETTA GL L4 1.8 ALL ALL ALL OE recommended replacement part. OE-specified Oil included. Click For More Info 2004 - 2004 JETTA ALL L4 1.8 ALL ALL ALL OE recommended replacement part. OE-specified Oil included. Click For More Info 2005 - 2005 JETTA GL TDI L4 1.9 ALL ALL ALL OE recommended replacement part. OE-specified Oil included. Click For More Info 2005 - 2005 JETTA GLI L4 1.8 ALL ALL ALL OE recommended replacement part. OE-specified Oil included. Click For More Info 2005 - 2005 JETTA GLS TDI L4 1.9 ALL ALL ALL OE recommended replacement part. OE-specified Oil included. Click For More Info 2005 - 2014 JETTA ALL L5 2.5 ALL ALL ALL OE recommended replacement part. OE-specified Oil included. Click For More Info 2006 - 2010 JETTA ALL L4 2.0 ALL ALL ALL DENSO is the OE supplier for this vehicle; OE-specified Oil included. Click For More Info 2012 - 2014 JETTA ALL L4 2.0 T ALL GAS DENSO is the OE supplier for this vehicle; OE-specified Oil included. Click For More Info 2014 - 2014 JETTA ALL L4 1.8 ALL ALL ALL DENSO is the OE supplier for this vehicle; OE-specified Oil included. Click For More Info 1995 - 1996 PASSAT ALL L4 2.0 ALL ALL ALL OE recommended replacement part. OE-specified Oil included. Click For More Info 1996 - 1997 PASSAT ALL L4 1.9 ALL ALL ALL OE recommended replacement part. OE-specified Oil included. Click For More Info 1998 - 2001 PASSAT ALL V6 2.8 ALL ALL ALL DENSO is the OE supplier for this vehicle; OE-specified Oil included. Click For More Info 2002 - 2003 PASSAT W8 W8 4.0 ALL ALL ALL DENSO is the OE supplier for this vehicle; OE-specified Oil included. Click For More Info 2002 - 2005 PASSAT GLS V6 2.8 ALL ALL ALL DENSO is the OE supplier for this vehicle; OE-specified Oil included. Click For More Info 2002 - 2005 PASSAT GLS 4 MOTION V6 2.8 ALL ALL ALL DENSO is the OE supplier for this vehicle; OE-specified Oil included. Click For More Info 2002 - 2005 PASSAT GLX V6 2.8 ALL ALL ALL DENSO is the OE supplier for this vehicle; OE-specified Oil included. Click For More Info 2002 - 2005 PASSAT GLX 4 MOTION V6 2.8 ALL ALL ALL DENSO is the OE supplier for this vehicle; OE-specified Oil included. Click For More Info 2003 - 2004 PASSAT GL V6 2.8 ALL ALL ALL DENSO is the OE supplier for this vehicle; OE-specified Oil included. Click For More Info 2004 - 2004 PASSAT ALL W8 4.0 ALL ALL ALL DENSO is the OE supplier for this vehicle; OE-specified Oil included. Click For More Info 2004 - 2005 PASSAT ALL L4 2.0 ALL ALL ALL DENSO is the OE supplier for this vehicle; OE-specified Oil included. Click For More Info 2006 - 2008 PASSAT ALL V6 3.6 ALL ALL ALL OE recommended replacement part. OE-specified Oil included. Click For More Info 2006 - 2010 PASSAT ALL L4 2.0 ALL ALL ALL DENSO is the OE supplier for this vehicle; OE-specified Oil included. Click For More Info 2012 - 2014 PASSAT ALL L5 2.5 ALL ALL ALL OE recommended replacement part. OE-specified Oil included. Click For More Info 2014 - 2014 PASSAT ALL L4 1.8 ALL ALL ALL DENSO is the OE supplier for this vehicle; OE-specified Oil included. Click For More Info 2004 - 2006 PHAETON ALL V8 4.2 ALL ALL ALL DENSO is the OE supplier for this vehicle; OE-specified Oil included. Click For More Info 2004 - 2006 PHAETON ALL W12 6.0 ALL ALL ALL DENSO is the OE supplier for this vehicle; OE-specified Oil included. Click For More Info 2006 - 2009 RABBIT ALL L5 2.5 ALL ALL ALL OE recommended replacement part. OE-specified Oil included. Click For More Info 2009 - 2015 TIGUAN ALL L4 2.0 ALL ALL ALL DENSO is the OE supplier for this vehicle; OE-specified Oil included. Click For More Info 2004 - 2005 TOUAREG ALL V6 3.2 ALL ALL ALL DENSO is the OE supplier for this vehicle; OE-specified Oil included. Click For More Info 2004 - 2005 TOUAREG ALL V8 4.2 ALL ALL ALL DENSO is the OE supplier for this vehicle; OE-specified Oil included. Click For More Info 2006 - 2006 TOUAREG ALL V6 3.2 ALL ALL ALL DENSO is the OE supplier for this vehicle; OE-specified Oil included. Click For More Info 2006 - 2007 TOUAREG ALL V8 4.2 ALL ALL ALL DENSO is the OE supplier for this vehicle; OE-specified Oil included. Click For More Info 2007 - 2014 TOUAREG ALL V6 3.6 ALL ALL ALL DENSO is the OE supplier for this vehicle; OE-specified Oil included. Click For More Info 2008 - 2009 TOUAREG ALL V8 4.2 ALL ALL ALL DENSO is the OE supplier for this vehicle; OE-specified Oil included.